3 Characteristics of Martin Luther King, Jr.
Today is a great opportunity, not only to remember Martin Luther King, Jr., but to activate in your life today, and forward, the very characteristics that made him a great leader. 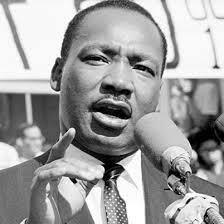 In your own life and business, how can the life of Martin Luther King, Jr. be a guide for you? What is your dream for the world? With all the resources and cooperation you need, what changes would you make? Envision the world you want to live in and the world you want to share with those you love. What is your dream for your own life? Martin Luther King, Jr. fought for equality when others would not. His life was one of education, service and leadership. He was involved in several groups and committees and learned to support and be supported in his endeavors in the civil rights movement. How have you prepared yourself educationally to attain the goals you desire? What services have you provided to help your community, a group or an individual? What services have you given to support your business? How have you served in a leadership position and where have you found support for your causes? Seemingly, taking a stand for Civil Rights alone, Martin Luther King, Jr. did not quit. Even while incarcerated he continued to work on his dream. He didn’t give up under the most difficult circumstances. What are the hurdles you have to overcome to create your dream? Today, what do you need to overcome to finish your project, take the next step or regain your focus? What is the end result for your persistence? What is the planned goal and what will be your reward?